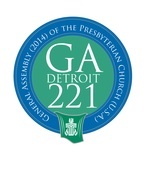 The 221st General Assembly (GA) in Detroit will soon be upon us. If you are a commissioner to this year’s assembly, you have probably attended an orientation or have one on your calendar. Just last week, fellow commissioners chosen as committee moderators and vice-moderators were trained and prepped. I was a commissioner to the 219th General Assembly in Minneapolis. Since then, I have served on the Committee to Review Biennial Assemblies and will give our final report at this assembly. For the past four years, our committee has examined, explored, interviewed, and researched all things General Assembly. Nothing went untouched. We looked at the function and purpose of the General Assembly moderator; the use of consensus model; process of overtures; general logistics of how GA meets and gathers; number of commissioners . . . the list goes on. And I believe we have come up with something that will breathe new life into how we gather as Presbyterians. But that is not what I want to share. After each GA, there is much grumbling that happens during and after. As a committee member, we hear it all. What’s interesting is the grumbling falls into two camps – commissioners and what I call “frequent flyers.” As frequent flyers – whether staff, GA junkies, committee representatives, overture advocates, and anyone who has attended 3 or more – we have either a bird’s eye view or a narrow lens in which we are observing and participating in GA. As commissioners, the role is very different. A large majority of commissioners are GA virgins, meaning they have never ever been to a GA – ever! Surveys conducted after each GA find that most rate their experience highly positive. So what does this tell us? For one, commissioners have a very different experience of GA than everyone else. Guard your time. Do not be tempted to sign up for too many special luncheons or any of the field trips during GA. Your time is very focused and limited to the task at hand. Acknowledge all the mailings you are receiving from every Presbyterian group out there, but don’t let it overwhelm you. Reserve judgment or leave a little room for open dialogue for when you are at GA. Take time to familiarize yourself with the overtures and whatever webinars that may be available. Pack sensibly. Outside will be warm, but inside will be cold. You will be walking a lot – A LOT. Leave room in your suitcase for things you may end up acquiring at GA. Spend whatever spare time you have walking through all the booths and tables in the marketplace. It gives a wonderful breadth of diversity and ministry of the Presbyterian church. Fill your pockets with pens, Frisbees, keychains, and all the propaganda available. Remember that WE are the General Assembly. What I mean by this is that you will begin your GA experience in committee. You will spend a few days with up to 50 other commissioners amending and voting on overtures. The last few days are spent in plenary, where you will hear, discern, and vote on the work of other committees. I am always amazed how quickly we can unravel the work of a committee by rehashing arguments that were carefully discerned in committee. And we wonder why GA ends up lasting until 2 am in the morning. I don’t mean to imply that all of the committees’ work should be approved without discussion or debate. I certainly have spoken in the opposite of a committee’s decision on the floor. But at some point we have to trust the work of the Spirit. We can’t have it both ways – we can’t expect committees to do their work, only to rehash every minute detail on the floor and then complain that the meetings are too long. This leads me to my next bit of advice . . .
Prioritize your reading. Once your committee work is over, you will have to switch gears to review the work of other committees so that you will begin to process how you will vote in plenary. One way to prioritize is leave the overtures that passed with clear majority for the end. Spend time reading the ones where the committee seemed split or there wasn’t a clear majority. Be open to the Spirit. Sometimes as commissioners, we feel an obligation or responsibility to vote as representative of our presbytery or constituent group. But your responsibility is to be open to where the spirit leads YOU to vote. Only YOU were elected to be a commissioner to vote YOUR conscience. Ask clarifying questions. The paddle is a powerful tool. It is more powerful to ask clarifying questions than spout one’s opinion. Opinions are important, but I know many commissioners whose voice gets lost over the pro/con paddles, leaving many commissioners with many questions. Clarifying questions gives the committee an opportunity to expand on how the decision was made and may give you context and insight that may affect your vote. Have fun! Take it all in. Meet people you wouldn’t otherwise have a chance to meet. Soak in the wide expanse of the Presbyterian Church. It’s not everyday you get to see the church in this way. You aren’t done yet. Even though you are home and GA is over, you are still a commissioner. So share what you have experienced at your church, your presbytery, and at other churches. Consider being on a GA committee if asked. These past four years on the Committee to Review Biennial Assemblies have been invaluable to me. We celebrated engagements and marriages. We prayed through chemo treatments and losses. We supported each other through life and job transitions. I love these guys. Good thoughts as I prepare to be a commissioner from Homestead Presbytery in Detroit in a little less than a month.